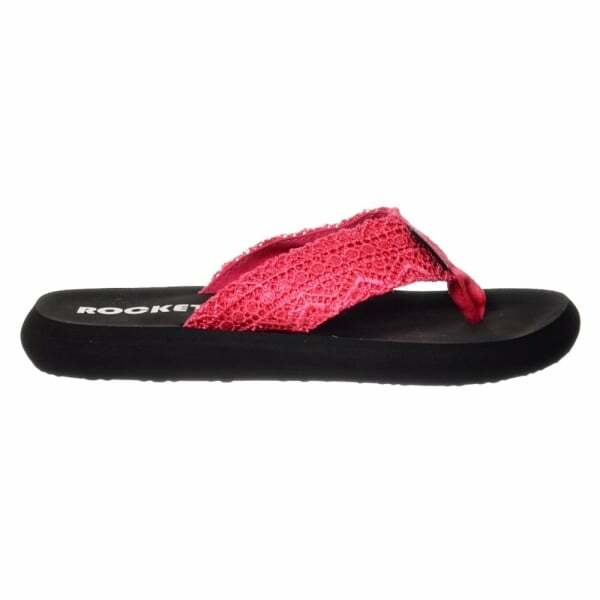 Rocket Dog's Spotlight Flip Flop Features Matching Woven Crochet Toe Post and Straps Complimented by a Rocked Dog Feature Logo To The Lightweight EVA Sole. Choose From Black or Pink Crochet Straps With Black EVA Sole or Natural Crochet Straps With Brown EVA Sole. 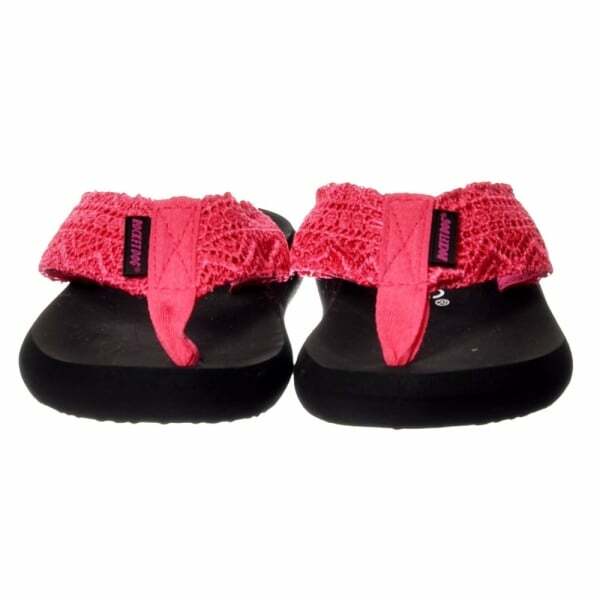 Perfect Looking and Comfortable For Long Summer Days.